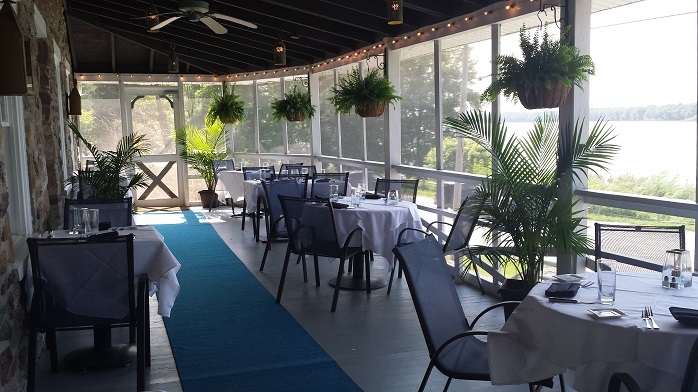 On beautiful summer days, food tastes better when it&apos;s served with a cool breeze, ample sunshine and gorgeous views. 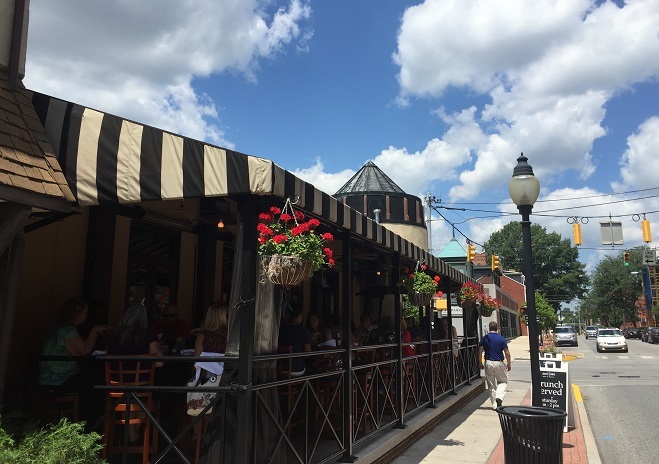 We&apos;ve compiled a list of some of the best places to dine al fresco in York County, PA, where you&apos;ll find everything from riverside dining to an Italian restaurant that serves up bocce with its delicious pasta. One of the top Italian restaurants in Pennsylvania, Victor&apos;s is set inside a beautiful renovated church, but also offers peaceful streetside dining on the Bella Patio. There&apos;s also full service by a bocce court, making this a unique outdoor dining option. A beautiful American farm, Wyndridge offers stunning views of the countryside from its outdoor patio. 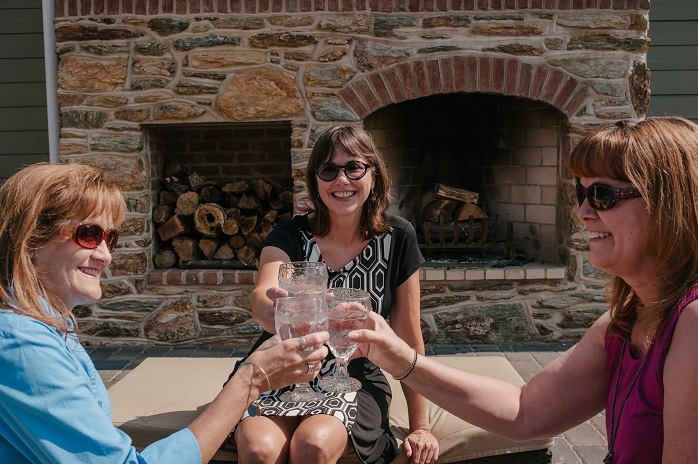 Enjoy a refreshing hard cider, brick-oven pizza and more delicious farm-to-table fare by the gorgeous stone fireplace. 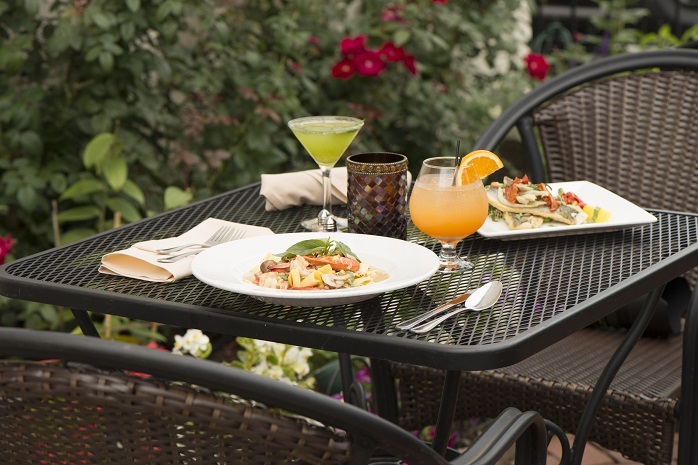 This Downtown York Italian eatery takes al fresco seriously in the summer. Tutoni&apos;s serves up dinner in Cherry Lane Park just a short walk from the restaurant the first Friday of every month. 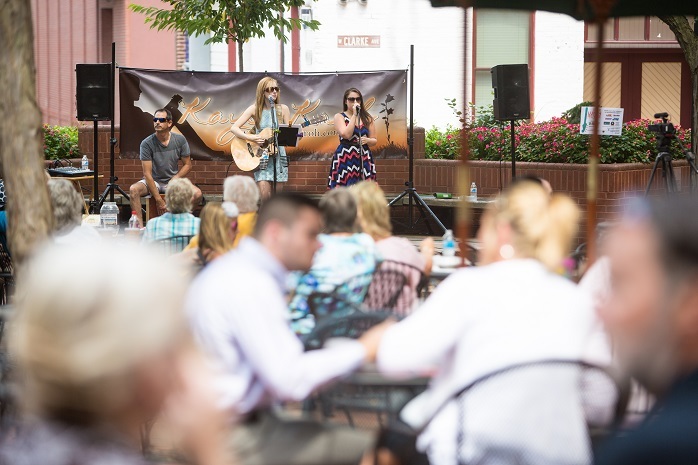 This year&apos;s Al Fresco Series features drinks and small bites. While June&apos;s date has passed, mark your calendars for July 7 and August 4. 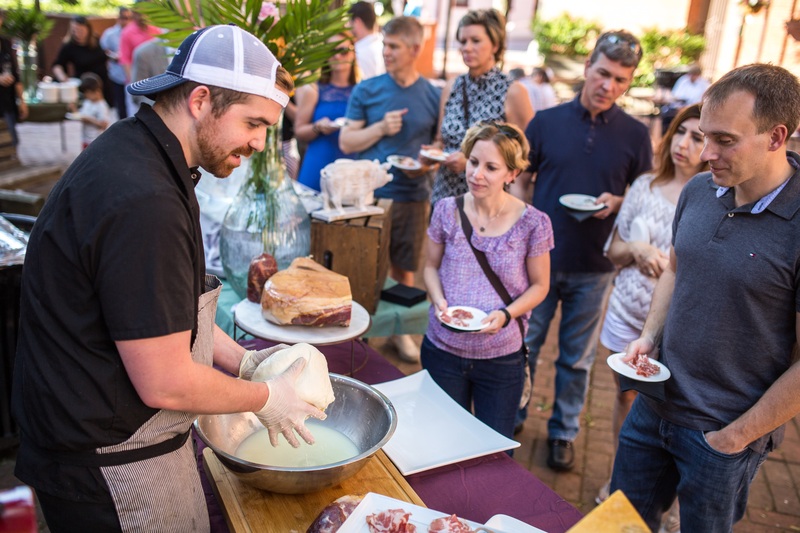 If you can&apos;t make it to Cherry Lane Park for Tutoni&apos;s Al Fresco Series, don&apos;t despair. The nearby Central Market is a go-to lunch spot on Tuesdays, Thursdays and Saturdays, and you can always bring your sandwich outside to enjoy it under the summer sun. Tee off in the morning and enjoy a day on the links at Heritage Hills Golf Resort & Conference Center before recharging with lunch on the patio at Knickers Pub. With pub-style food, large-screen TV and shuffleboard, it&apos;s one of the best places to gather on a sunny summer day. 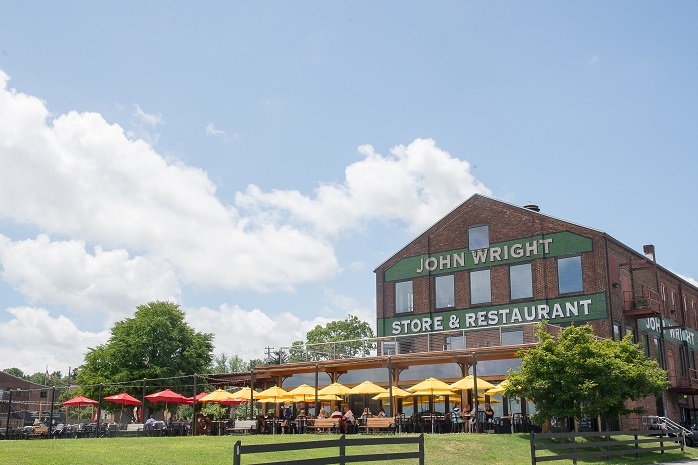 Set inside an old silk mill by the Susquehanna River, the John Wright Restaurant serves up a view to remember. Sit outside and watch kayakers paddle by the picturesque Wrightsville bridge all while enjoying an excellent meal. This casual upscale option also comes with river views. Relax on the porch and enjoy dinner and a cocktail as the sun sets. The Local Watermelon Salad makes a refreshing choice on particularly hot days, but there are plenty of full-size entrees to devour, too! One of the most popular downtown dining options, the White Rose Bar & Grill is a happy hour favorite for Yorkers. Enjoy a casual drink or dinner with friends as you soak up the summer breeze. It gets busy, so arrive early to claim a seat outside! 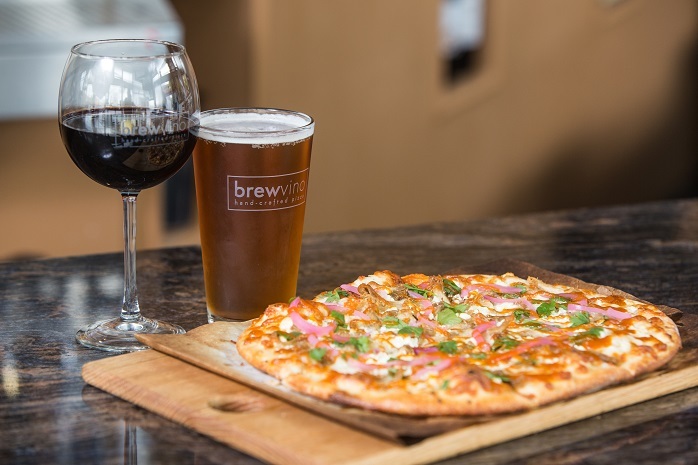 BrewVino serves up hand-crafted pizza in Downtown York and is across the street from PeoplesBank Park, home of the York Revolution professional baseball team. Grab a bite to eat and then enjoy America&apos;s pastime at the ballpark.